Experience premium power in the 2017 Mazda6 thanks to the use of SKYACTIV® TECHNOLOGY. SKYACTIV® TECHNOLOGY is an exclusive feature of the Mazda lineup that helps vehicles achieve peak performance and prime fuel efficiency. 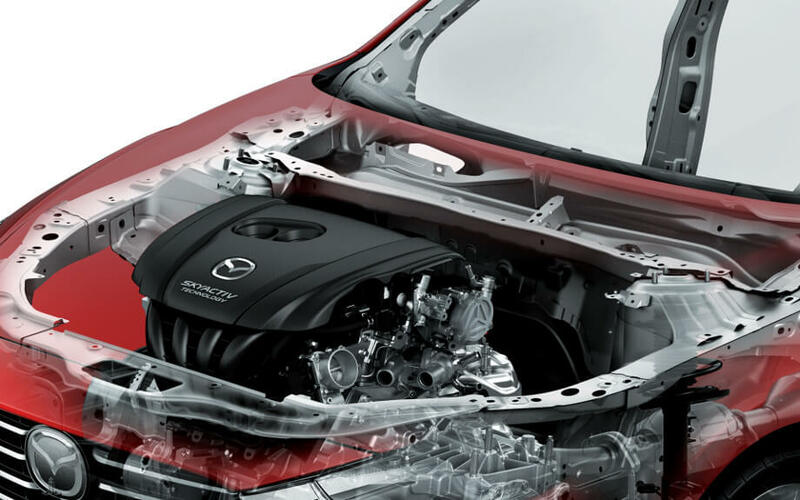 See how Mazda6 SKYACTIV® TECHNOLOGY can enhance your driving experience today! SKYACTIV® TECHNOLOGY creates an efficient, but sporty experience when you’re out on the road. This system allows the Mazda6 to use more low and mid-range torque than other models, producing fewer emissions for a greener driving experience.While ordinary combustion engines can only utilize about 30 percent of the potential energy in fuel, Mazda’s SKYACTIV® TECHNOLOGY engines push the limits of internal combustion to deliver significantly superior fuel efficiency. Engines with SKYACTIV® TECHNOLOGY are able to compress the air-fuel mixture in the cylinders to an incredible degree, deriving far more energy from each drop of fuel than other engines can. Let’s take a look at the Mazda6 Sport trim’s 2.5L 4-cylinder engine, which produces 184 hp and 185 lb-ft of torque. This engine features a direct injection system and variable valve timing and uses regular unleaded gasoline. Manual transmission models deliver an EPA-estimated 24 mpg in the city and 34 mpg on the highway, while the automatic transmission models achieve an EPA-estimated 26 mpg in the city and 35 mpg on the highway. The use of SKYACTIV® TECHNOLOGY also means a more streamlined, aerodynamic vehicle. This system has effectively reduced body weight by 8 percent over models without the SKYACTIV® TECHNOLOGY engineering design. Although lighter, models are 30 percent more rigid on average. This translates to great stability at higher speeds with more agility at lower speeds. Since the SKYACTIV® TECHNOLOGY body framework is designed to disperse impact shocks, drivers can also count on superior safety in the event of a crash. 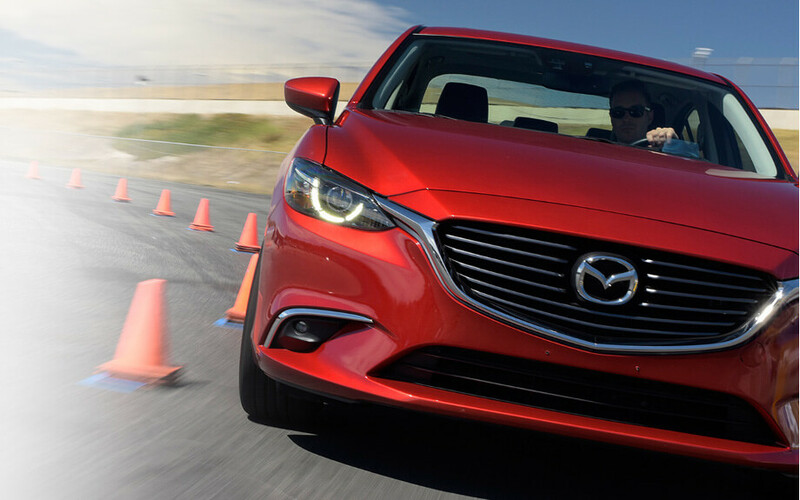 Because Mazda vehicles are roughly 8 percent lighter than vehicles without SKYACTIV® TECHNOLOGY, you can count on a nimble drive. When equipped with a manual transmission, the Mazda6 weighs 3,240 pounds. When equipped with an automatic transmission, it weighs 3,305 pounds. The Mazda6 also has a wheelbase of 111.4 inches with a total length of 191.5 inches and 72.4 inches of overall width. The Mazda6 accommodates five passengers comfortably and delivers a passenger volume of 99.7 cubic feet. You can store plenty of cargo with 14.8 cubic feet of standard trunk space. Visit Biggers Mazda today to try out the 2017 Mazda6 with SKYACTIV® TECHNOLOGY—a system that improves your overall driving experience. 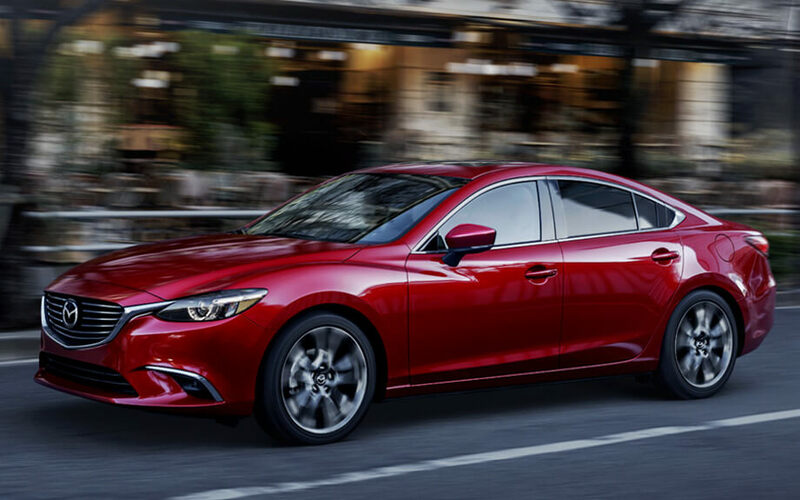 See why so many drivers are selecting the Mazda6 as their next vehicle! For more information about SKYACTIV® TECHNOLOGY or to learn more about the 2017 Mazda6, come in and see us or contact us online. Our experts would be happy to help you explore the Mazda6 or other high-quality models in our inventory. We look forward to showing you the amazing assets the Mazda6 brings to the road!